Although they are versatile units protected by shields, melee cavalry are weak against more specialised units. Hardy fighters whose camels unnerve horses. Light horsemen are always useful as a general's eyes and ears. 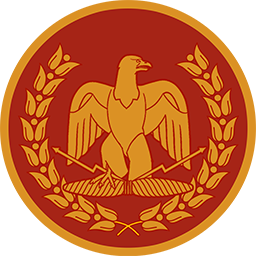 No Roman general would refuse cavalry able to fight and scout. While not renowned as horsemen, Dacians can still set spears and charge. No ambitious Roman commander ignores a force of competent cavalrymen. A good Roman commander can put light cavalry to good use in a fight. Loyal auxiliaries are a useful cavalry force. These auxiliaries are a flexible force of cavalry in any Roman army. Romans are infantrymen; it makes sense, then, to use whatever auxiliary cavalry can be found. Excellent horsemen and a valuable striking force to a bold commander.